Dr. Marcus Holgersson is Associate Professor at the department of Technology Management and Economics at Chalmers University of Technology. His research deals with intellectual property (IP) strategies and policies at both micro and macro levels in different industrial contexts with different degrees of open/closed innovation, as well as the intersection between IP on one hand and management and economics of technology on the other hand. He is especially interested in the connection between IP strategies and technology/innovation/business/corporate strategies, and the connection between IP strategies and firm performance. Additionally, his work covers economic aspects such as methods for determining FRAND licensing royalties. 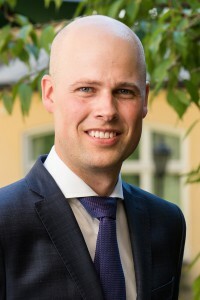 Dr. Holgersson has previously been a visiting scholar at University of Gothenburg, Stanford University, and UC Berkeley.